Save on this set of 4 beautiful copper mugs! Set of 4, Our Moscow Mule Mugs are made of solid copper and tin lined. Each has a 1 pint (16 oz.) capacity. The copper has been lacquered to resist tarnishing. 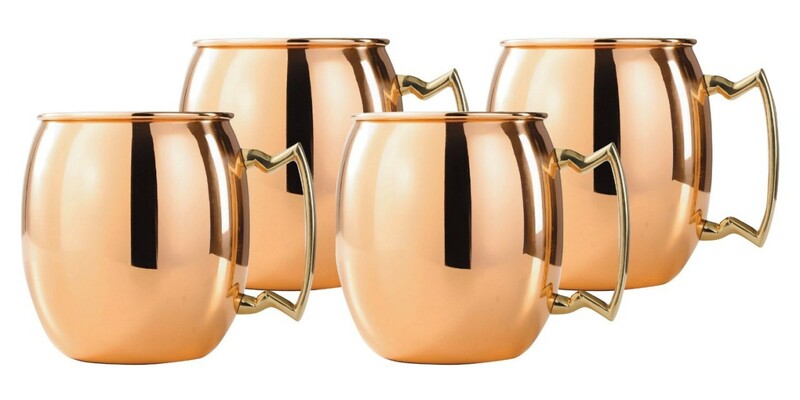 Click the button below to add the Solid Moscow Mule Mug Copper Set of 4 to your wish list.